Shop › News › Happy Thanksgiving! We want to wish you all a Happy Thanksgiving. *We will be closed on Thursday to celebrate with family and other company this year!! The website will be open on Friday and some of us will be in to continue processing orders. 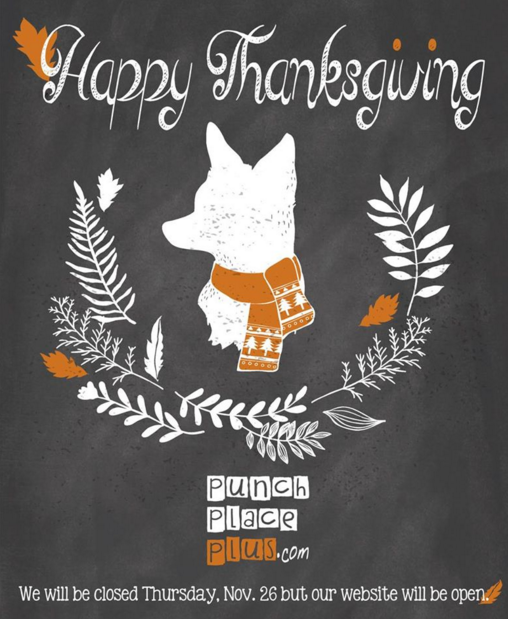 I give thanks for my family, friends and customers. We are immensely blessed by having you all in our lives.